The Golden Eye 0.1% w/v Eye Drops Solution is the easiest way to treat minor eye infections and irritations. Simply put one or two drops into the affected eyes four times daily to overcome common complaints such as sticky eyes and conjunctivitis. GoldenEye 0.1% w/v Eye Drops Solution is an easy way to treat minor eye infections and irritations such as conjunctivitis and blepharitis. 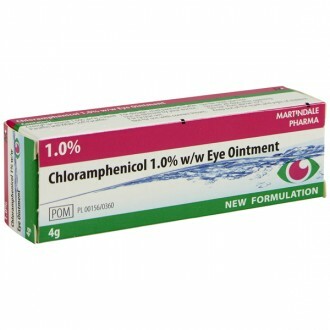 It also relieves eye symptoms such as redness, soreness, sties and a feeling of grittiness in the eyes. Simply put one-to-two drops into the affected eye(s), four times daily to soothe common complaints such as sticky eyes and conjunctivitis. The solution contains Propamidine Isetionate, an antiseptic that kills bacteria. If you suffer from minor eye infections or irritations, try GoldenEye 0.1% w/v Eye Drops Solution for fast acting, easy-to-use relief. GoldenEye 0.1% w/v Eye Drops Solution contain the active ingredient propamidine, an antibacterial. Propamidine stops bacteria from growing and multiplying. Any remaining bacteria die or are killed by the body’s immune system. If condition improves, continue to use the drops or ointment until the symptoms have cleared. If the condition returns after finishing treatment, If there is no improvement after two days or the symptoms have worsened, talk to your doctor. Do not wear contact lenses while using GoldenEye 0.1% w/v Eye Drops Solution, as they could become discoloured. If you use GoldenEye® 0.1% w/v Eye Drops Solution during the day and the GoldenEye® 0.15% w/w Eye Ointment in the evening, apply the ointment before sleep. Be sure the bottle is sterile. Do not use the drops if the seal has been broken. - Do not wear your contact lenses while using the drops. - You can start wearing hard contact lenses or disposable contact lenses again after you have finished the treatment. - If you wear soft contact lenses, wait 24 hours after your last dose before wearing them again. Benzalkonium chloride discolours soft contact lenses. If you have any symptoms of macular degeneration due to diabetes, you should consult your doctor before using either the drops or the ointment. Instil one or two drops to each affected eye up to four times every day, without touching the eye. Discontinue using the solution and contact your pharmacist or doctor if symptoms do not improve after two days. Sodium Chloride, Sodium Hydroxide and Hydrochloric Acid, Benzalkonium Chloride 0.01% w/v. 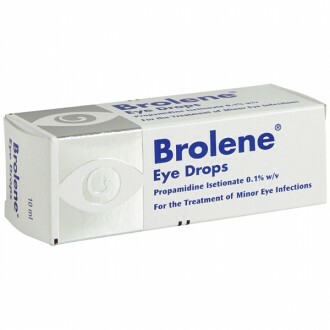 After 4 weeks of opening these eye drops, discard any unused solution. 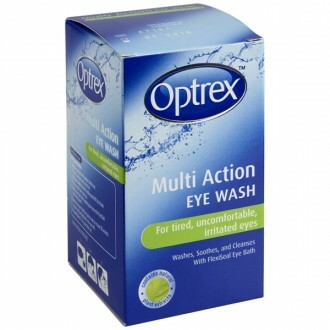 Until you are sure you can see clearly after using the drops, avoid driving or operating machinery. Avoid wearing soft or hard lenses. Discontinue using the eye drops and contact your doctor, if you experience any allergic reaction. What is Golden Eye 0.1% w/v eye drops solution? Golden eye drops is a topical preparation containing an antibacterial agent. Golden Eye is designed to treat minor eye infections, such as conjunctivitis, blepharitis, and styes. These conditions can present with symptoms of redness, soreness, and a grittiness in the eye. What are the ingredients in Golden Eye 0.1% w/v eye drops solution? The active ingredient in Golden Eye is propamidine isetionate (0.1%). It also contains sodium chloride, benzalkonium chloride (preservative), sodium hydroxide, hydrochloric acid, and purified water. How long should I use this treatment for? Golden Eye drops should be used as instructed in the patient information leaflet. If after two days your condition hasn’t improved or has gotten worse, stop using the drops and seek medical advice. However, if the treatment is working, continue to use Golden Eye until the symptoms have fully cleared. If you suffer a recurrence after completing treatment, seek further advice from a healthcare professional. Does Golden Eye 0.1 % w/v eye drops solution cause any side effects? Upon initial application, Golden Eye can cause a mild burning or stinging sensation. Normally, this subsides with further use. However, if Golden Eye continues to cause irritation, you should stop using it and seek medical advice. If Golden Eye causes an inflammation of the eye, or if a swelling develops around the eye, then treatment should be stopped and you should see your doctor immediately. Similarly, seek medical attention if a skin rash appears around the eye(s). Any side effects suffered from using Golden Eye drops should be reported to the Medicines and Healthcare Products Regulatory Agency through the Yellow Card scheme. Under what circumstances should Golden Eye 0.1% w/v eye drops solution not be used? Golden Eye should not be used if you allergic to any of its ingredients. If the customer is pregnant or breatfeeding, Golden Eye should only be used with consent from a medical professional. Also, contact lens wearers should also seek advice prior to use. You have experienced a loss of vision, blurred vision, or can see haloes around light sources. Can you use Golden Eye 0.1% w/v eye drops solution if you wear contact lenses? You should avoid wearing contact lenses whilst using Golden Eye. The preservative used in the drops is known to discolour soft contact lenses. It is advised to wait at least 24 hours after using Golden Eye drops before wearing contact lenses. Do Golden Eye 0.1% w/v eye drops solution contain preservatives? Golden Eye drops do contain a preservative (Benzalkonium chloride). Will using Golden Eye 0.1% w/v eye drops solution affect my sight? If your vision is affected before you use Golden Eye drops, it is advised to seek medical attention. Golden Eye may blur your vision upon application, though the effect will only be temporary. Anyone using Golden Eye should avoid driving or operating machinery until vision has cleared. Can I use Golden Eye if I’m pregnant or breastfeeding? Whether Golden Eye is safe to use during pregnancy or breastfeeding has not been clearly established. It is advised to talk to your doctor or pharmacist before using Golden Eye under these circumstances. Is Golden Eye safe to use with other medicines? You should avoid using Golden Eye at the same time as other topical eye preparations. Your doctor or pharmacist should be consulted prior to use and informed of all medicines currently being taken. This will also include any medicine bought without a prescription. How should Golden Eye drops and ointment be stored? Golden Eye drops should be stored at room temperature below 25°C. Be sure to replace the cap on the bottle after each use. This will help preserve the remaining contents. Golden Eye 0.1% w/v eye drops solution should be discarded within four weeks of initial opening. What are the age restrictions for Golden Eye 0.1% w/v eye drops solution? There is no lower or upper age limit for Golden Eye. However, if for use by a child under 3 years of age, it is recommended to consult with a doctor or pharmacist prior to use. Can you use Golden Eye 0.1% w/v eye drops solution if you are Diabetic? If there are signs of macular degeneration, resulting from Diabetes, the patient should be referred to their doctor.